Are You A Diva, Too! Sure, I’m a Diva, and I’m loving’ it. I’d be willing to bet you have an inner Diva just waiting to purr. Just waiting to show the world your purr-pose. 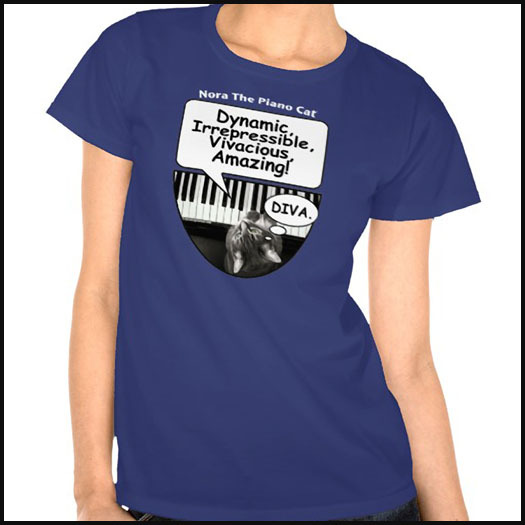 And if you like the Nora Diva tee, you can order yours by clicking here.